Yōrō (養老) was a Japanese era name (年号, nengō, "year name") after Reiki and before Jinki. This period spanned the years from November 717 through February 724. 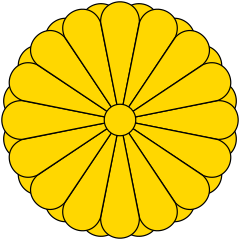 The reigning empress was Genshō-tennō (元正天皇). Yōrō gannen (養老元年): The new era name was created to mark an event or series of events. The previous era ended and the new one commenced in Reiki 3, on the 17th day of the 11th month of 717. Empress Genmei died at age 61. ^ Nussbaum, Louis-Frédéric. (2005). "Yōro" in Japan Encyclopedia, p. 1058, p. 1058, at Google Books. ^ Titsingh, Isaac. (1834). Annales des empereurs du Japon, pp. 65–67; Brown, Delmer M. (1979). Gukanshō, pp. 271–272; Varley, H. Paul. (1980). Jinnō Shōtōki. pp. 140–141. ^ Brown, p. 272. ^ Titsingh, p. 65. ^ Titsingh, pp. 65–66. 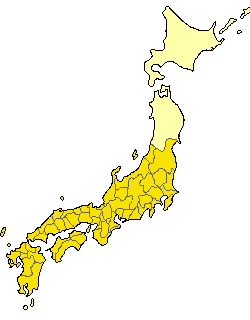 ^ Asakawa, Kan'ichi. (1903). The Early Institutional Life of Japan: A Study in the Reform of 645, p. 13. ^ Titsingh, p. 66. ^ a b Titsingh, p. 67.